Dinner parties, drop-ins, family visits, and holiday gatherings. Everyone loves to entertain, to some degree at least. If you’re considering downsizing from a larger house, you may be apprehensive about how youre new home will affect your ability to host. While condo living certainly takes on a different feel, that doesn't mean you have to put hospitality on hold. Here are four great reasons why living in a condo will compliment your love for entertaining. Downsizing to a condo means finding the best floor plan for you. Depending on the condo style, be it apartment style, townhome or an attached bungalow, square footage often ranges anywhere from approximately 700 feet to upwards of 2000 square feet. 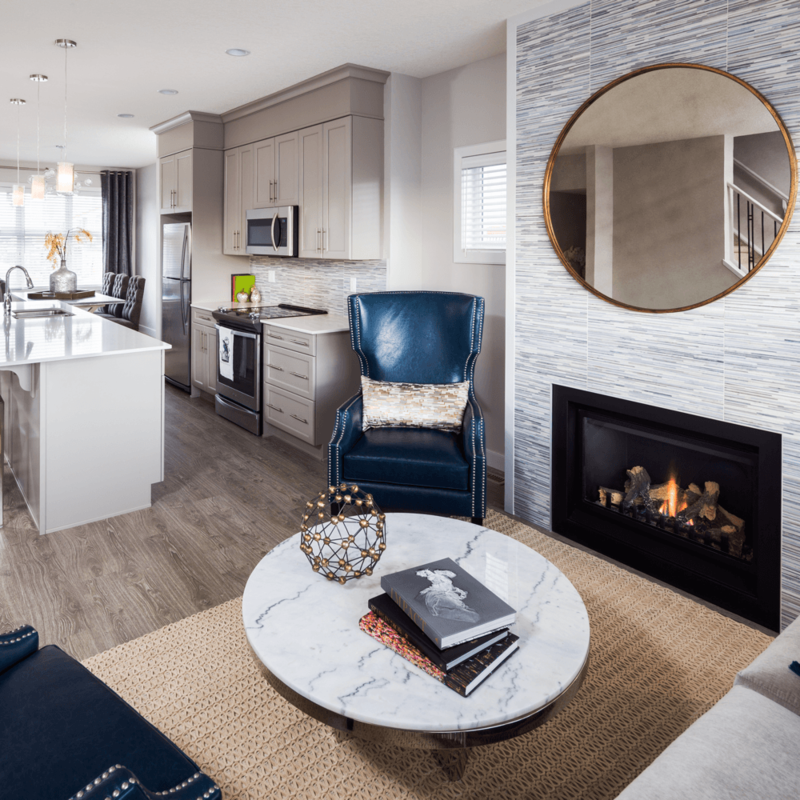 Southwest Calgary's Killarney Townes for example, offers three bedroom condos that boast over 1800 square feet! In many cases, the reduction in square footage is the result of eliminating extra personal space, rather than common space (extra bedrooms for example). While it may mean accommodating large numbers of people for an extended stay will require a bit of creativity, there’s certainly enough hosting space to entertain the way you’re used to. Another common fear among prospective condo owners is parting with some of the most coveted comforts of home. There’s some good news and bad news, really. It’s difficult to recreate nostalgia, especially when it’s a childhood or family home. But the good news is quality builders are integrating a lot of the same, beloved home features found in larger, detached homes in new condos. And they make entertaining that much sweeter. For example, the attached bungalows of Hunter House offer standard eat-in kitchens with full islands and eating bars for all to gather round. 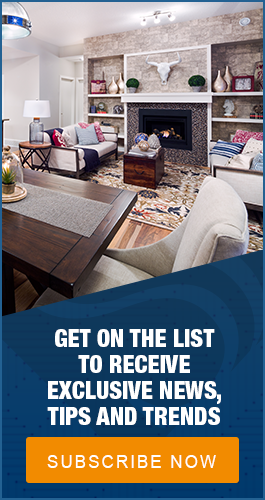 In some larger, quality, townhome style condos, cozy features such as gas fireplaces, stone surrounds, and hardwood flooring are quickly becoming standard offerings. And there’s no reason to feel cramped in your new home. A lot of new builds offer 9-foot and 10-foot ceilings, ensuring there’s enough wall space for all of those family photos and prized wall pieces essential to turning your new house into a welcoming home. The extra height also increases the perceived size of the room. In case you were starting to think condo living confines entertaining to the interior of your home, rest assured that outdoor gatherings are still an option. In fact, condo living often offers on-site amenities that simply aren’t a part of detached home living. It really comes down to condo style. In today’s market, condominiums take on numerous different forms. Between apartment style, townhome, and attached bungalow condos, developers are building to meet the needs of their customers. Most housing styles offer some sort of outdoor patio, terrace or deck space, whether it’s in the form of personal space or common space. Developments like the new Vivace at West 85th even offer gas hook-up for barbecues! Perhaps best of all, some condominiums, particularly those in urban cores, offer onsite amenities such as game and theatre rooms, fitness rooms and professionally designed common areas for lounging indoors and outdoors. The condo lifestyle is different, it’s true, but condo living offers some unique and convenient entertainment opportunities just steps away from your front door. Lastly, urban condo living offers a convenience that can't be beat, and it’s all about location. New condo developments are located in great areas, near shops, restaurants, leisure amenities and so on. Conducive to evening strolls and leisurely bike rides, condo living is not only uniquely suited to entertaining, but it’s easier too, with most opportunities a stone’s throw away. It’s a perk of the condo lifestyle, and it’s a perk for entertaining, that much is sure. The Loop in Evanston for example, is known for its walkability and proximity to any and all nearby amenities. Inter-connected by walking paths and surrounded by major commuter routes, you can get anywhere you need to go quickly and easily. There are a lot of misconceptions when it comes to making the move to a condo. Cramped spaces and sacrifice immediately come to mind. But shaving a little off the square footage doesn’t need to impact your social life. If anything, condo living offers some unique entertainment opportunities not found in detached-home living. And better still, it encourages entertaining inside and out. If you’re in the market for a condo and are feeling apprehensive, make sure that smaller square footage isn’t the barrier to making the move.